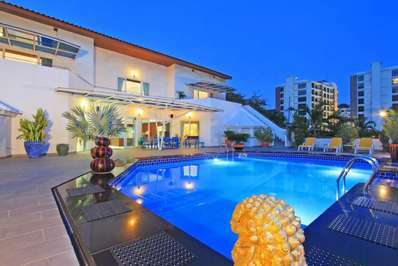 The ocean is just under 1km from the villa, but is not really a beach that is suitable for tourists. 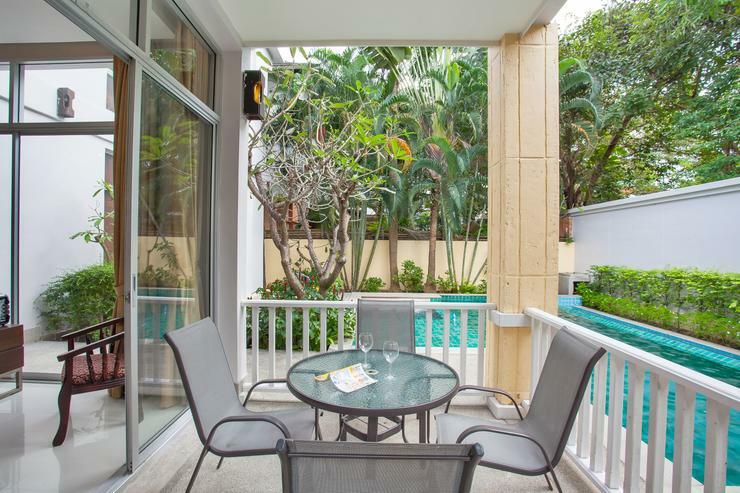 However, one of the best beaches in the region, Jomtien Beach, is under a 5-minute drive away, as are a multitude of shops, nightlife options and international restaurants. 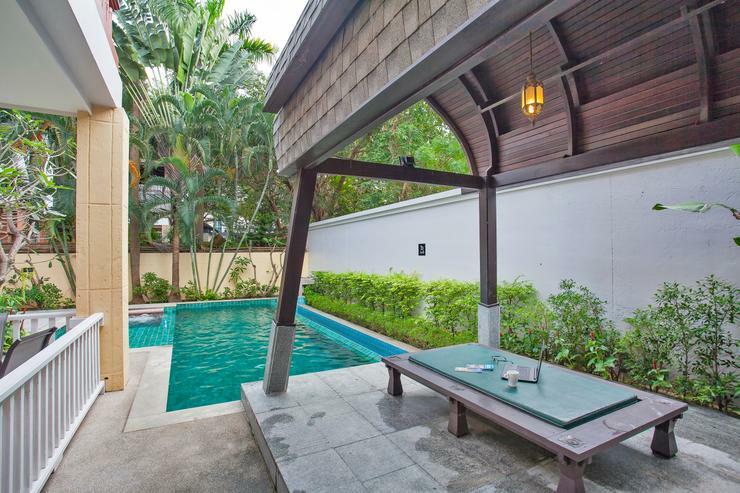 There are some small convenience stores and a couple of Thai restaurants within 100 meters of the estate. 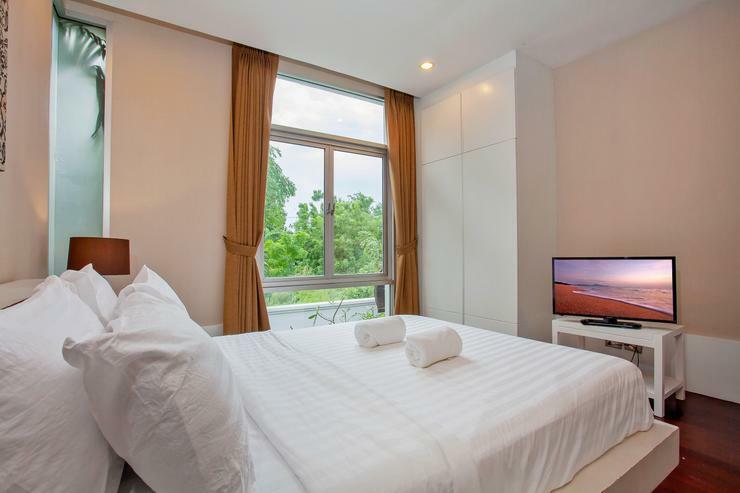 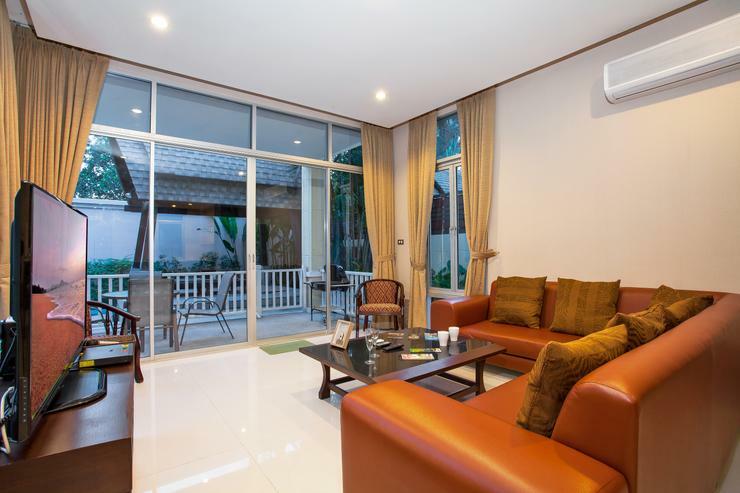 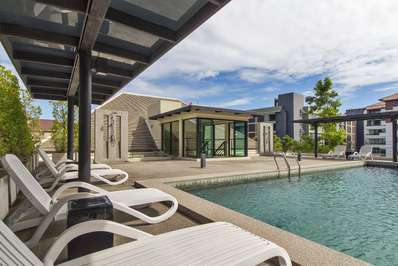 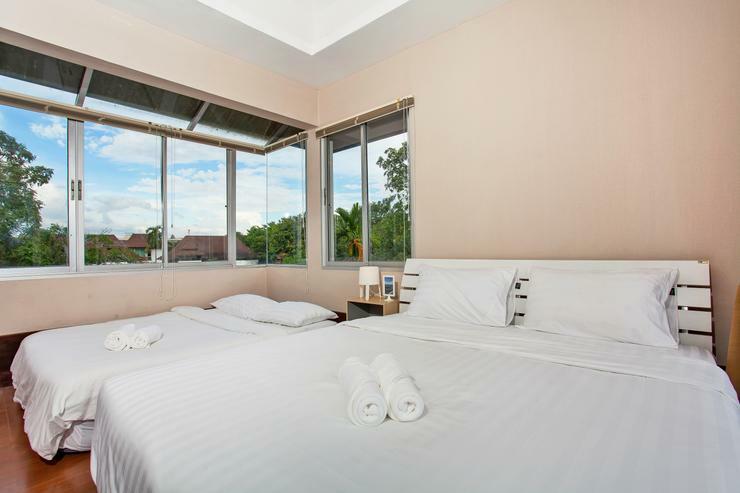 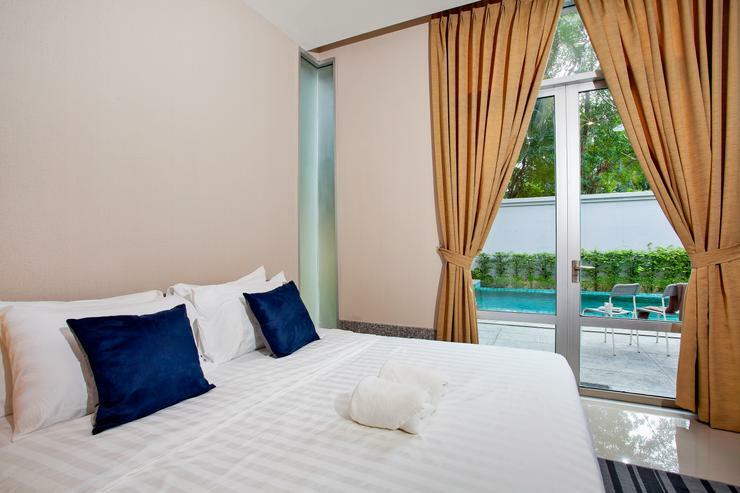 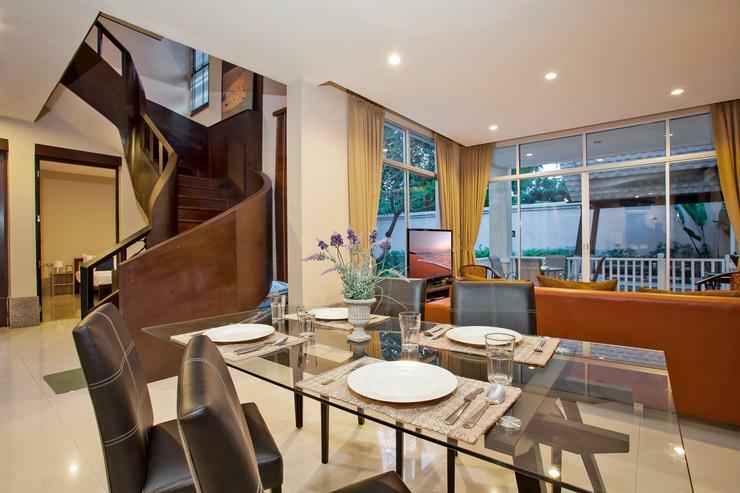 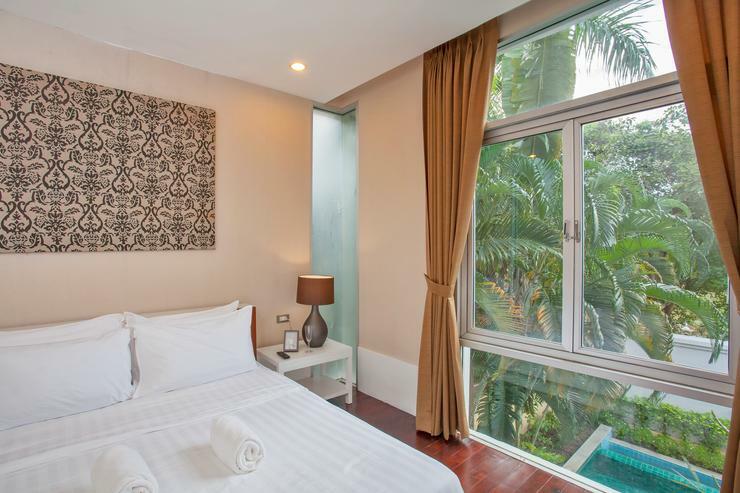 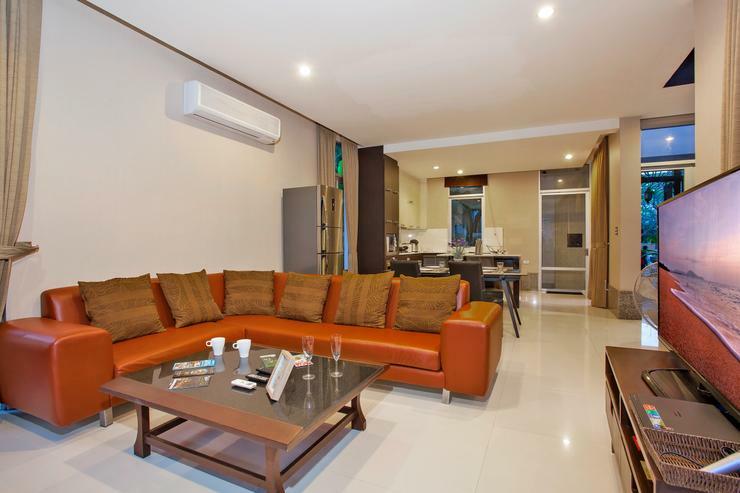 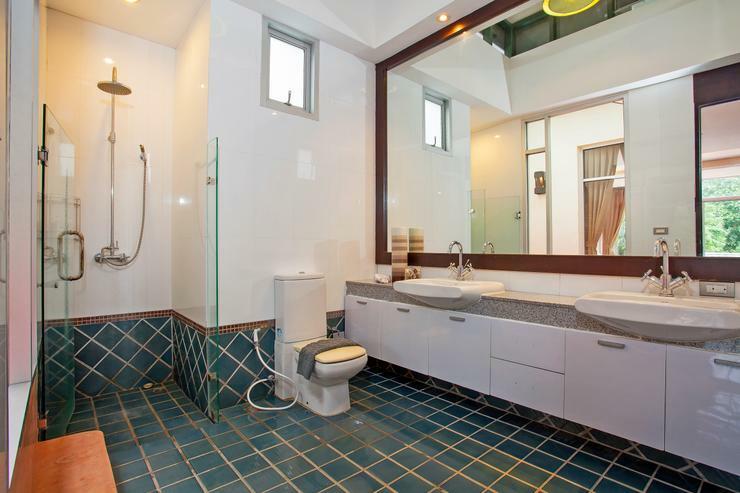 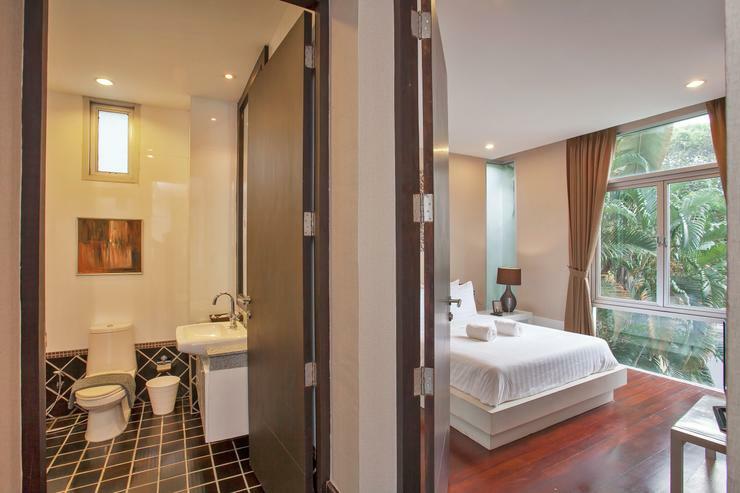 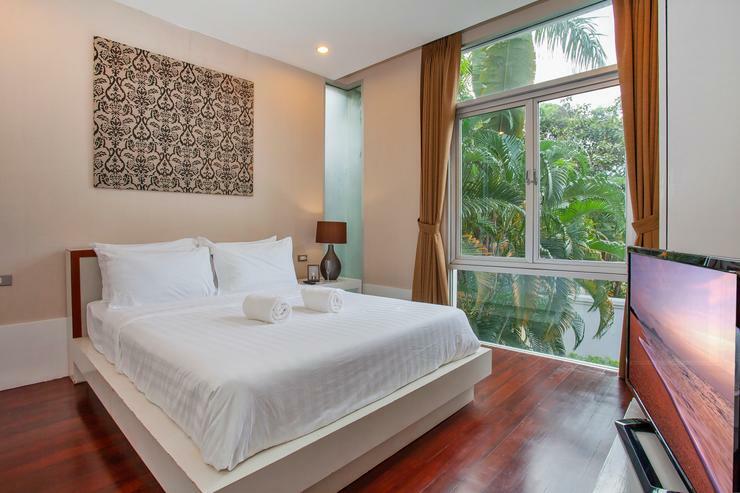 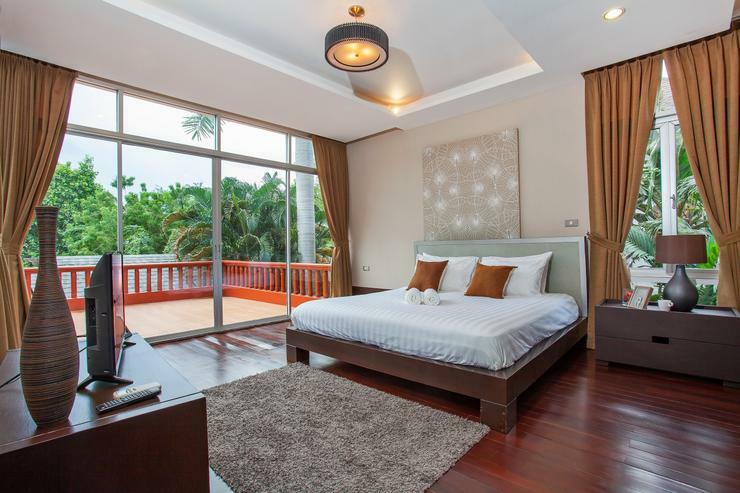 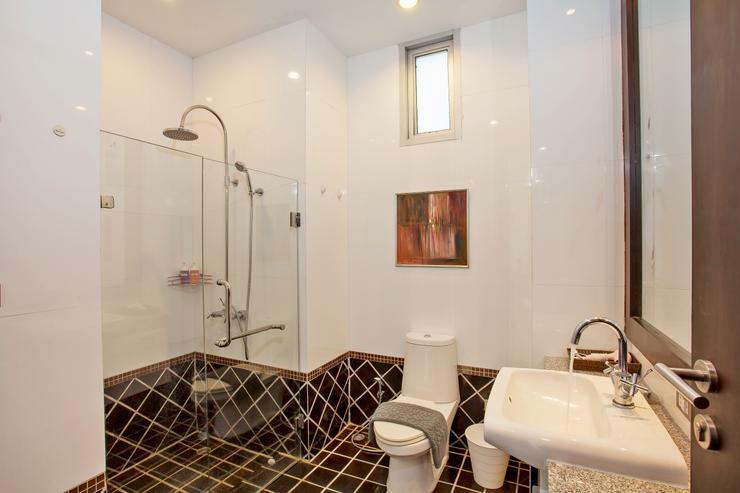 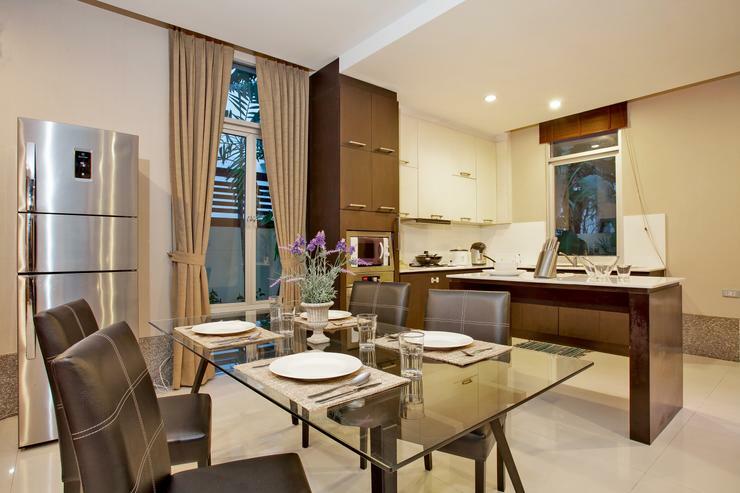 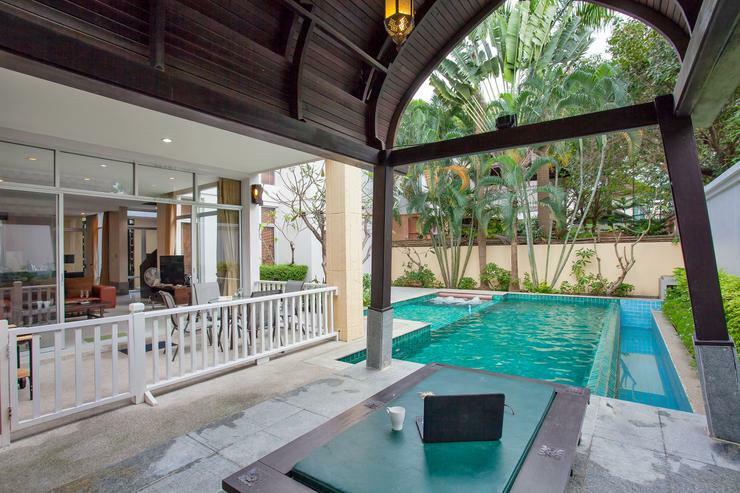 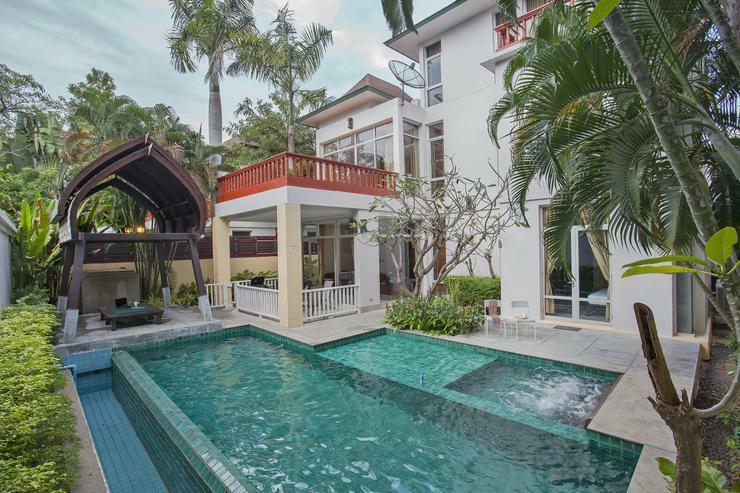 This ultra-modern 4-bedroom villa sleeps up to 10 people and is just a 2-minute drive from Jomtien Beach, making it the ideal villa rental option for large groups or families holidaying together. 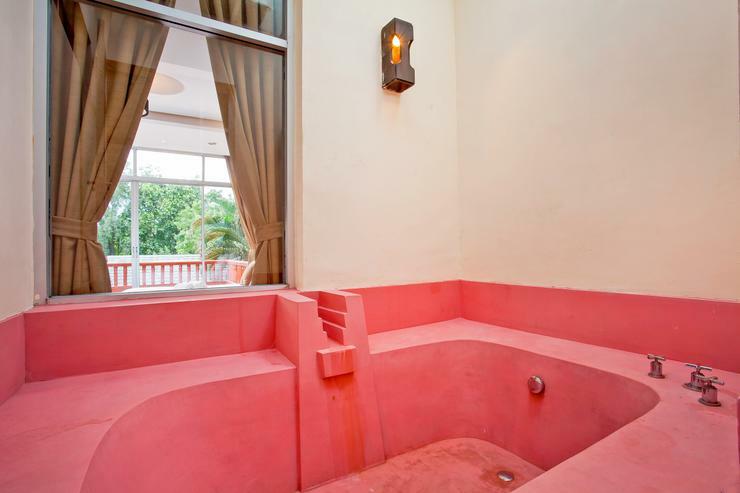 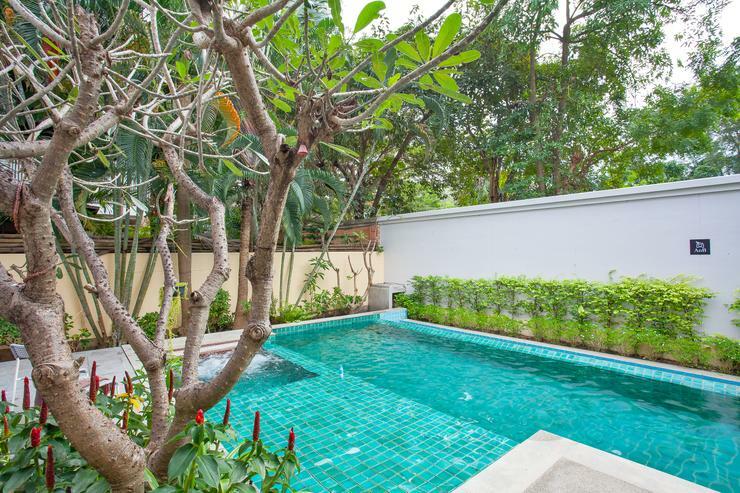 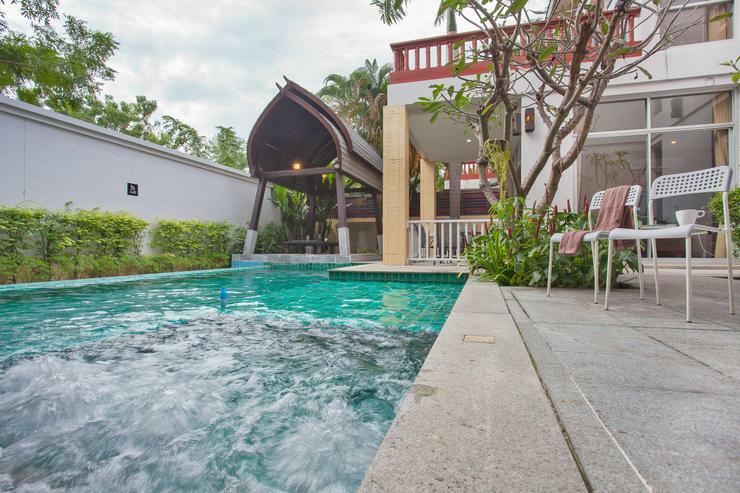 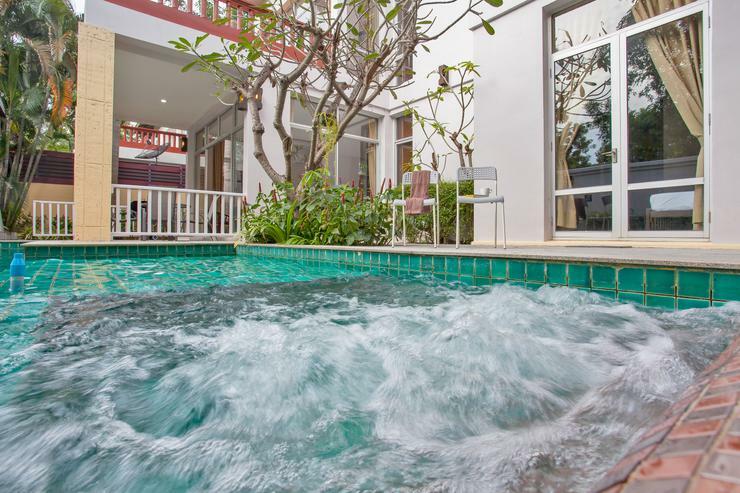 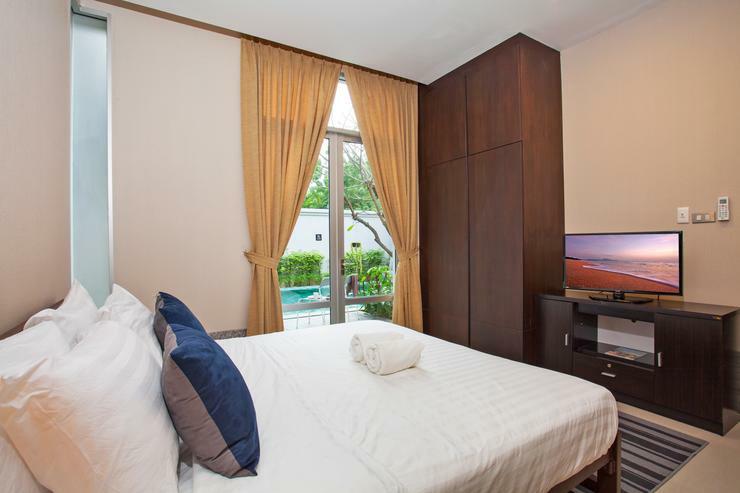 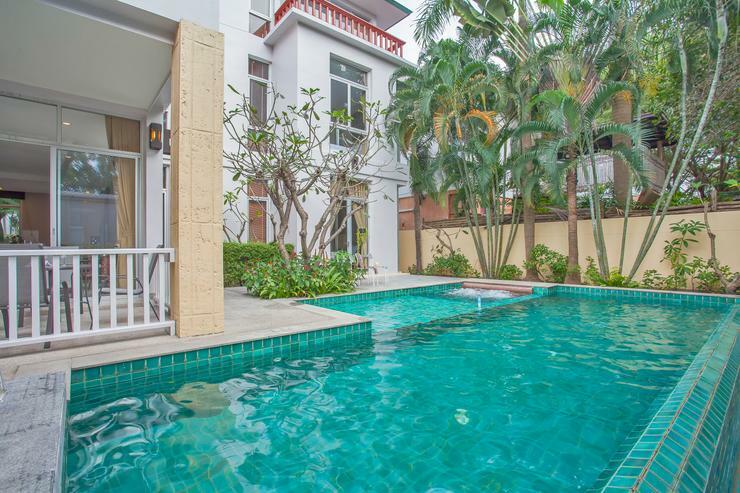 The majestic villa has a scenic garden that comes equipped with a stylish private swimming pool with an integrated Jacuzzi and kid’s pool areas, all next to a covered Thai Sala that is the ideal place for outdoor dining or relaxing next to the pool. 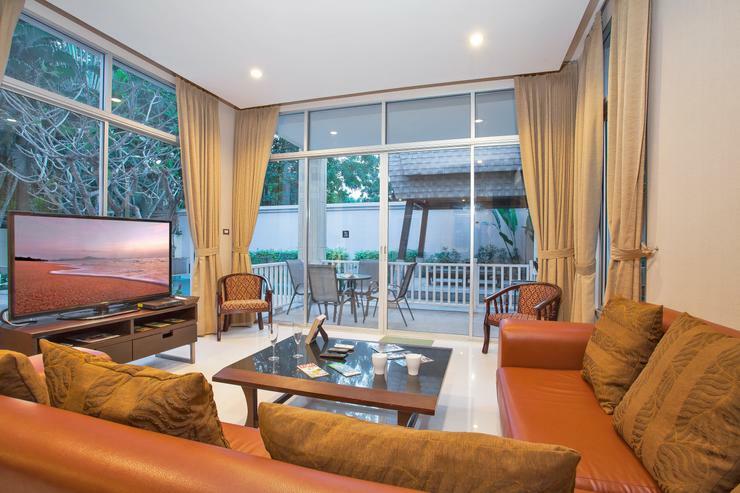 Making your way into the open-plan living space, you will find a lounge with a large L-shape sofa and a flat-screen TV that has international channels. 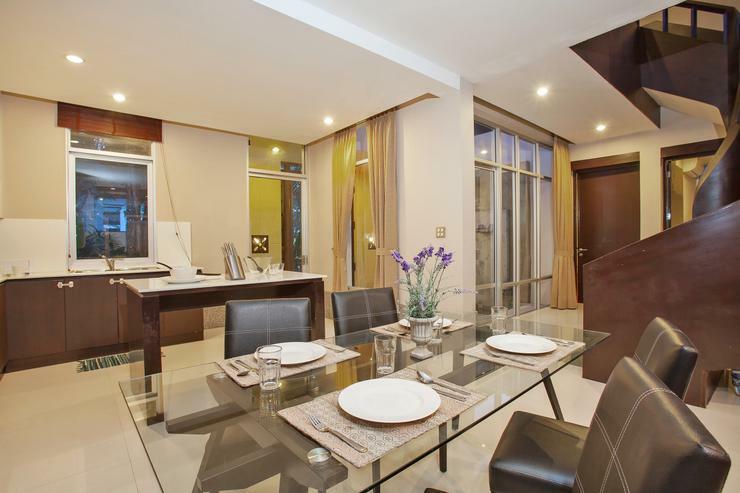 Next to the lounge is the dining space with its 4-seat glass dining table. 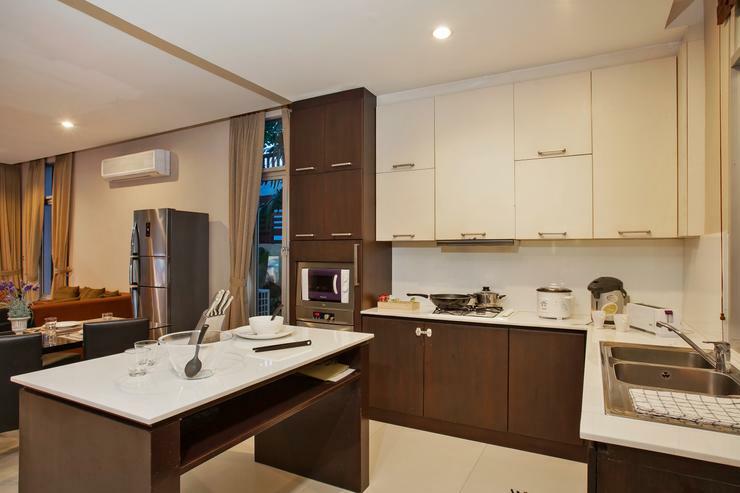 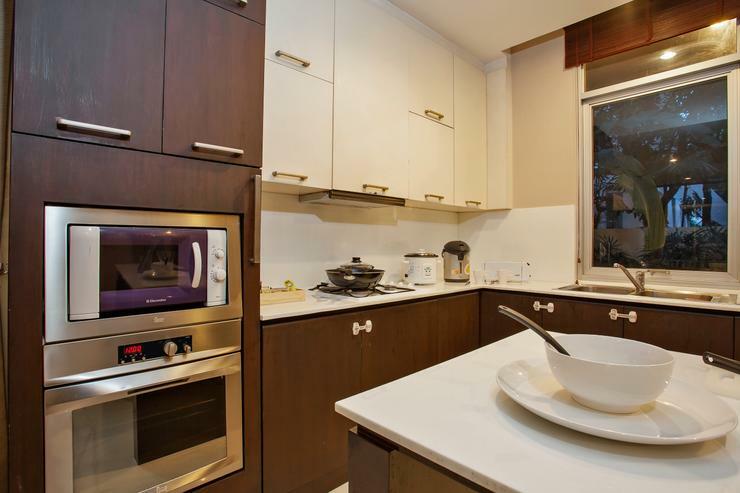 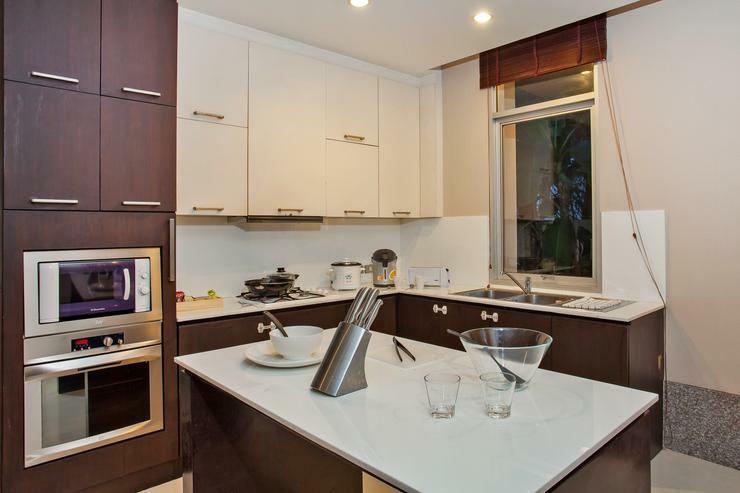 There is also a Western-style kitchen that comes with a breakfast bar for informal dining and lots of modern appliances, perfect for a self-catering experience. 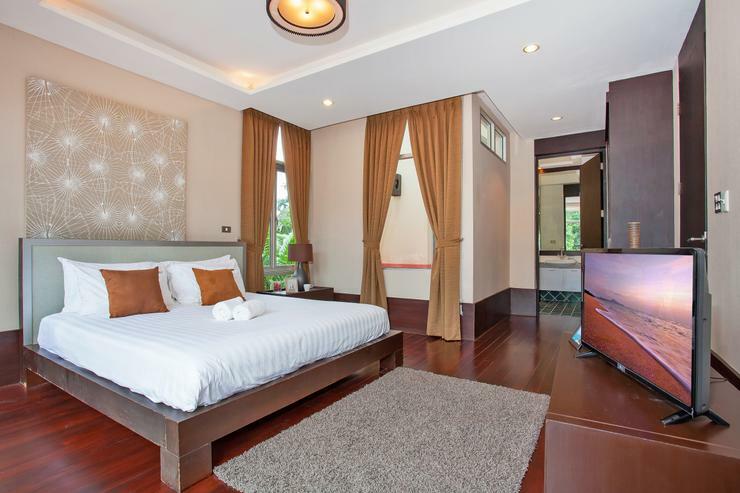 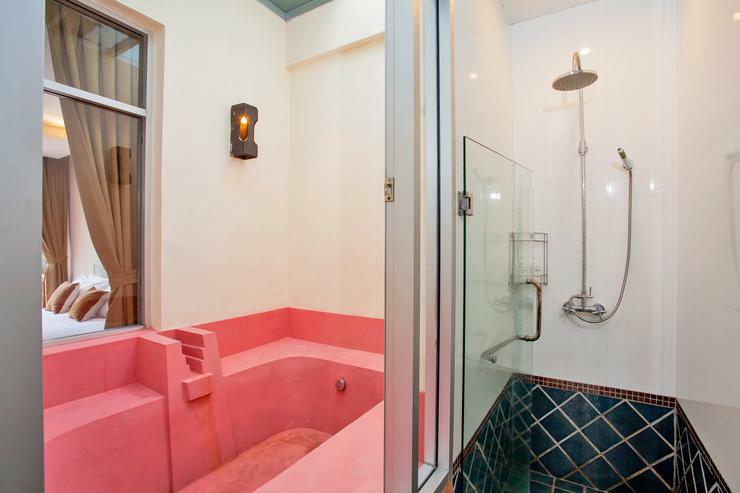 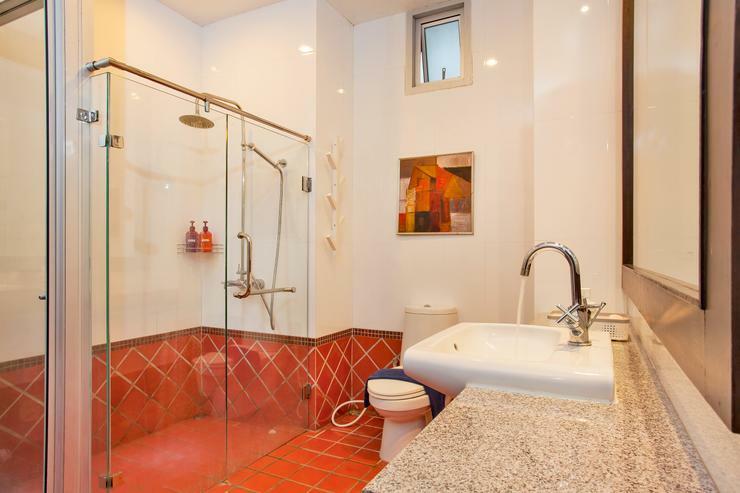 The villa enjoys 4 bedrooms in total, each with a double bed, wardrobes, TVs and ensuite or nearby bathrooms. 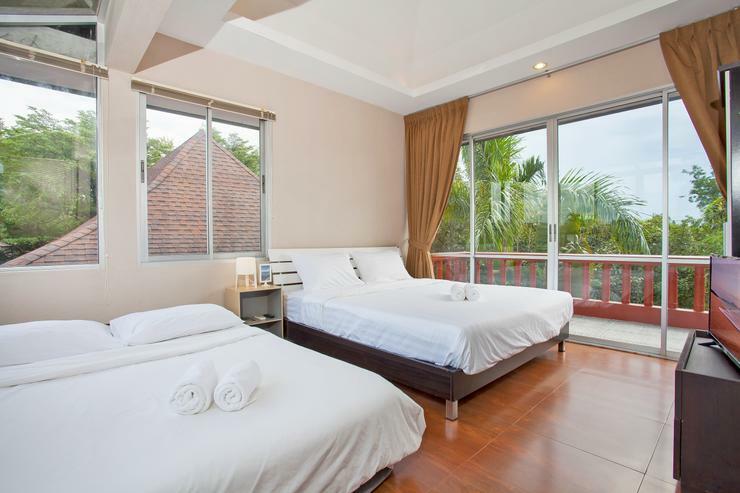 One of the bedrooms also has an extra double bed, perfect for families with kids, which means this villa sleeps up to 10-people. 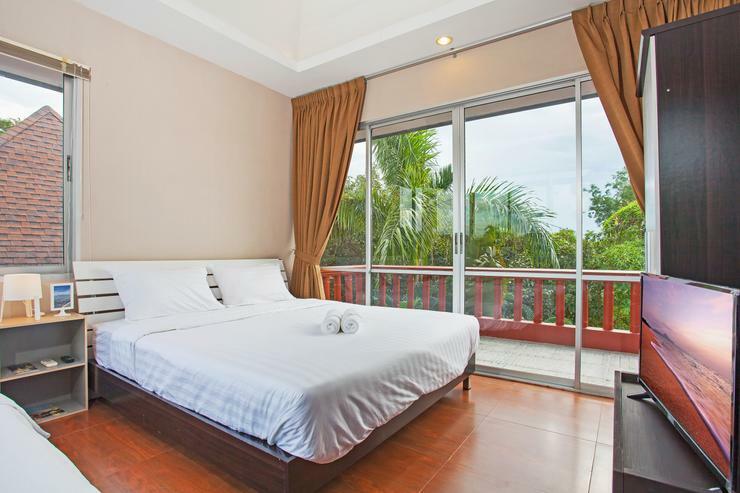 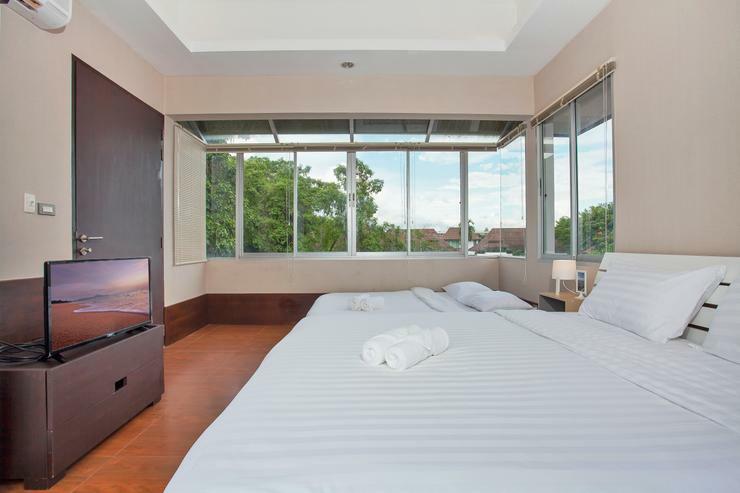 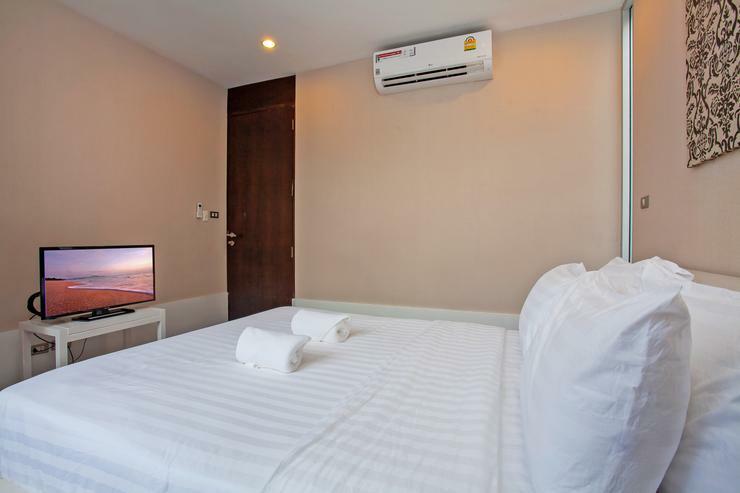 Located in Central Pattaya, Pattaya. 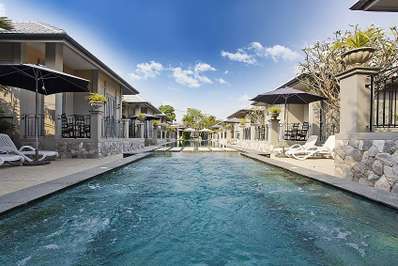 Villa Rio is a in Thailand. 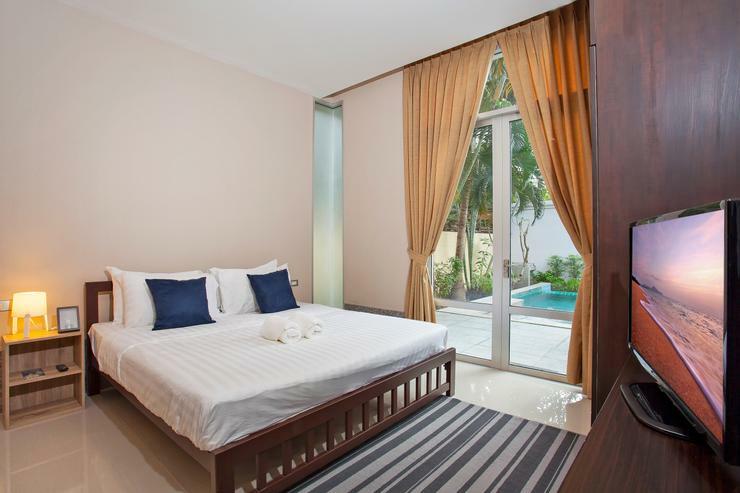 Located in Central Pattaya, Pattaya. 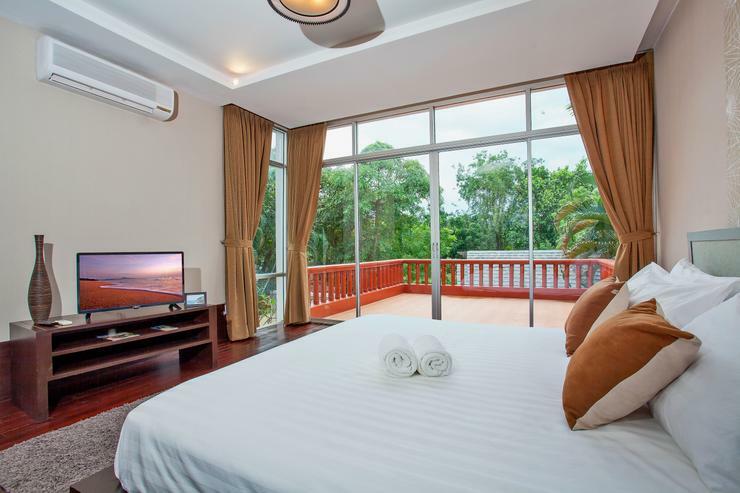 Skypoint Resort 9 is a in Thailand. 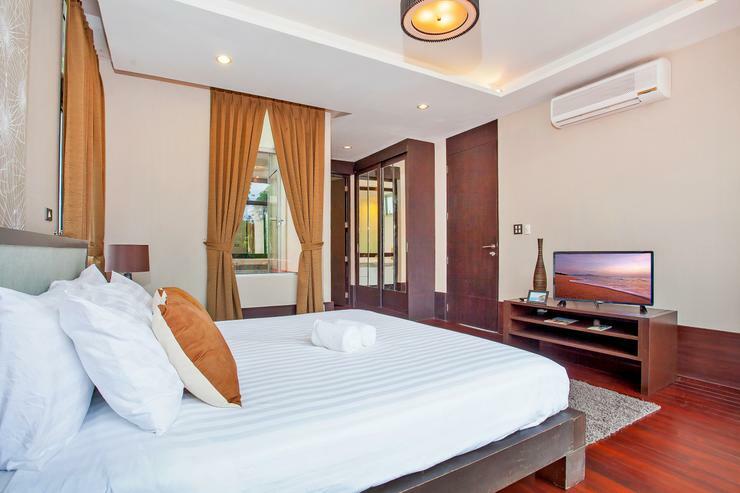 Located in Central Pattaya, Pattaya. 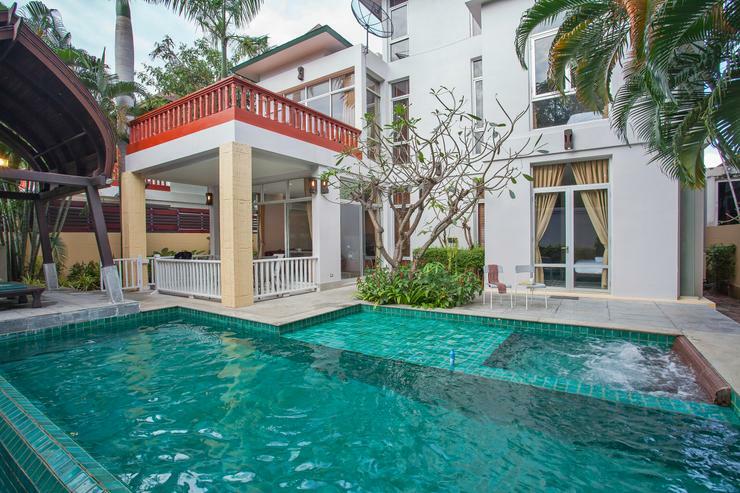 Villa Tropical Retreat 9 is a in Thailand.